Ability Text: As an additional cost to cast this spell, sacrifice a creature or planeswalker. Heartfire deals 4 damage to any target. 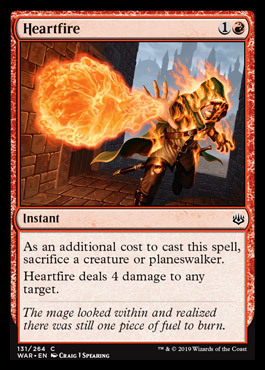 Flavor Text: The mage looked within and realized there was still one piece of fuel to burn.